At Premier Health Chiropractic & Wellness Center in North Dallas, Texas, Dr. H. Khayal, DC, strives to give you the guidance and physical treatment you need to optimize your health. Dr. H. Khayal is a board-certified chiropractor and utilizes traditional chiropractic manipulation and adjustments as well as advanced chiropractic tools, including Ultralign, to help you achieve your wellness goals. For an appointment, call the office today or book online. A chiropractor is a medical professional who utilizes spinal manipulation and other alternative therapies to reduce your pain and restore your health and wellness. 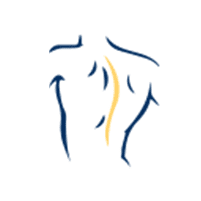 Dr. H. Khayal has gained an excellent reputation for delivering safe, effective treatments for spinal, musculoskeletal, and neuromusculoskeletal conditions. With his years of experience and the use of the latest technology, Dr. H. Khayal can diagnose and treat many of your health concerns. What is traditional chiropractic care? Traditional chiropractic care refers to spinal manipulations and adjustments. They’re the most common and regularly used forms of chiropractic care. During your session, Dr. H. Khayal carefully applies manual force to restore spinal joint mobility to alleviate your pain and muscle tightness. And because your spine is so closely tied to your nervous system, the adjustment has an overall positive effect on your body’s long-term wellness by decreasing inflammation and improving blood flow. Am I a good candidate for chiropractic care? Chiropractic care is considered a safe and effective treatment for many common health concerns. Dr. H. Khayal determines if you’re a good candidate after a comprehensive evaluation. He provides chiropractic care to all age groups. Dr. H. Khayal also recommends regular spinal manipulation and adjustments if you live an active lifestyle or engage in a hobby, chore, or occupation that requires repetitive motion, such as painting, weed whacking, or regular computer work. Dr. H. Khayal wants to provide the best care for his patients and utilizes the most advanced technology available, including Ultralign, which is also called the Pro Adjuster. The revolutionary chiropractic tool uses NASA-based technology to scan your spine and look for misalignments. Dr. H. Khayal uses the Ultralign system to determine fluidity and rigidity in your spine. The gentle and fast-working system applies a test force to each vertebra in your spine and then relays that information to a computer, which determines the exact source of your problem and helps direct Dr. H. Khayal’s treatment. Dr. H. Khayal wants to optimize your health so you can live a healthy, happy, and productive life. To schedule an appointment with the experienced chiropractor, call Premier Health Chiropractic & Wellness Center today or book an appointment online.